We are really excited to be adding a weekly pizza night, this time in Knutsford. You can find us parked up in the Shaw Heath Social Club car park. We will be launching the Knutsford pizza night on Thursday 18th April and will be returning every Thursday thereafter. The oven will be hot and the pizzas spinning from 17:00 – 21:00. On the night we’re giving away 2 pizzas of your choice. All you have to do is like and tag a friend in this post on Facebook. The lucky winner will be announced between 4 – 5pm on the day. We are based in Sandbach and pride ourselves in creating outstanding exciting wood fired pizza. Our dough goes through a 48hr fermentation process resulting in a super light base and a lovely puffed up leopard spotted crust. Our ingredients are sourced from the best suppliers locally where possible, the remaining key ingredients are delivered direct from Italy. We are constantly on the lookout for new ideas, and as a result our menus are kept fresh and vibrant. To ensure you aren’t waiting too long for your order we would recommend pre-ordering either by Facebook messenger or by 📞07507 680729. 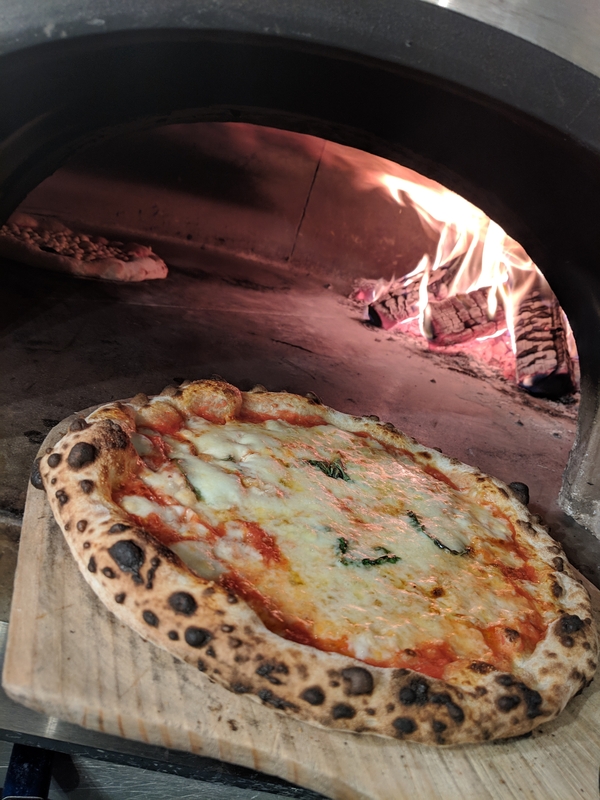 The Wildfire Pizza Company are available to hire in and around Cheshire, Staffordshire, Shropshire and the North West right across the Midlands including Derbyshire, Nottinghamshire, Leicestershire, Warwickshire and the West Midlands.